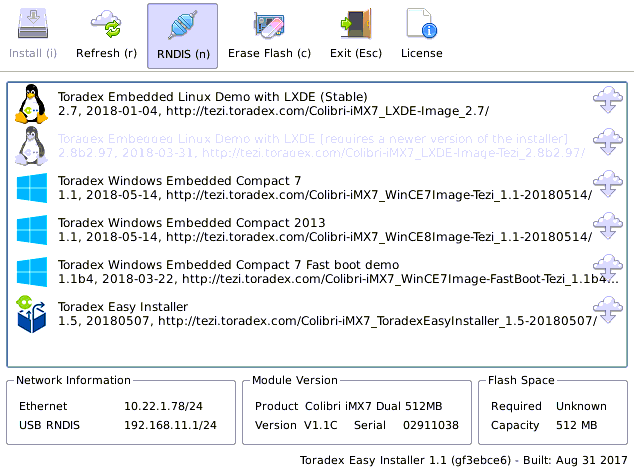 The Toradex Easy Installer is a Linux-based application with a Graphical User Interface that allows users to install a selection of Operating System images into the internal flash memory of Toradex modules in an extremely simple way. It is suitable for fully automated volume production as it allows for no-touch installation of custom images. It also features a handful of configuration options for advanced users such as pre- and post-install script execution and customized partitioning schemes. 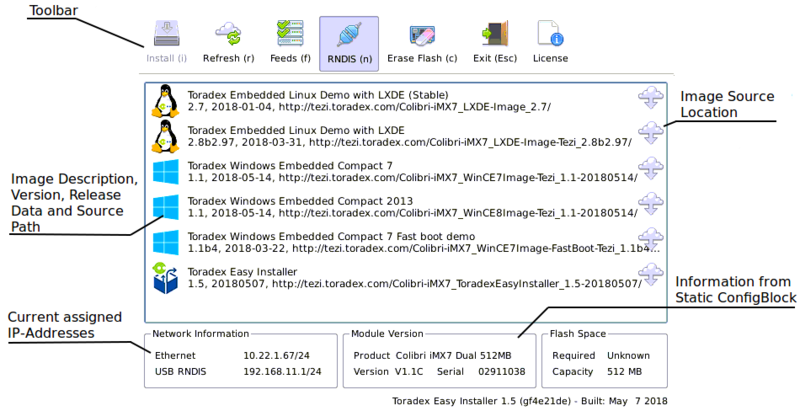 Toradex Easy Installer is the default pre-installed Software for Colibri iMX6, Colibri iMX7, Apalis iMX6, Apalis T30, Apalis TK1 and all newer modules in the future (check our PCNs in the revision history section of our product pages). In this section you will find the images from Toradex and our partners, ready to be installed by the Toradex Easy Installer. In this section, we will take the first steps towards installing Toradex images with Toradex Easy Installer. If Toradex Easy Installer is already flashed in your module (in most modules this is the factory default), the boot process should automatically load it into RAM. 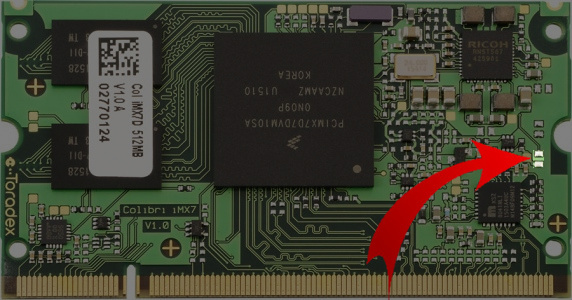 Otherwise, you can download a Toradex Easy Installer image and load it into the module's RAM either through a host computer, using recovery mode, or through an SD card / USB stick, using the Distro Boot mechanism (see the Load Toradex Easy Installer tab). Once the Toradex Easy Installed is loaded into RAM, you should see a User Interface appearing on DVI-I/HDMI, VGA or on the parallel RGB (Unified Interface Display) port. If you can't use any of these display options, you can access the user interface remotely over the network using VNC. For this, you should connect a USB cable to the USB / OTG port of your carrier board. The module provides a connection via USB RNDIS with the default IP address of 192.168.11.1. Use your preferred VNC client to connect to this address. To list images from the Internet, make sure that you connect Ethernet to a network which provides Internet access (the installer relies on DHCP to configure the IP address and HTTP to download images). After some seconds you should see a list of images appearing. Alternatively, you can download a Toradex Easy Installer image from our website and unzip/untar it onto an SD Card or USB Flash Drive. 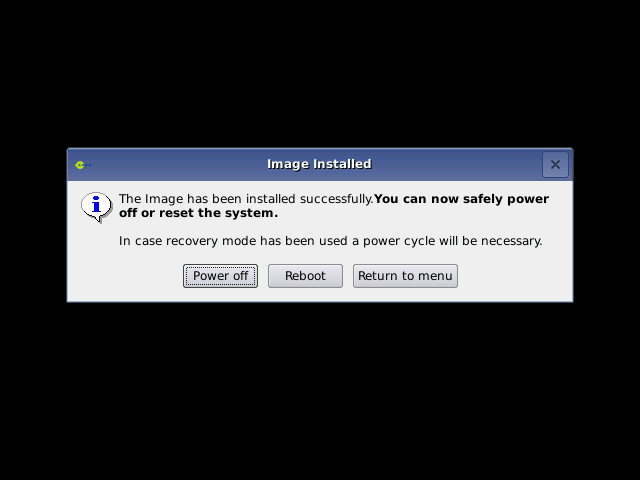 Once you plug it into the target the images should appear in the list of available images with an icon indicating that it is an image found on a local storage device. See the list of images available for download in the OS and Demo Images tab. At this point, all data have been stored on internal flash and caches have been flushed (synced). It is not required to click on any of this three buttons, it is perfectly fine to just reset or turn off the system. The Toradex Easy Installer application runs completely in memory, hence the complete internal flash can be erased, (re)partitioned, formatted or written. If your module does not boot to Toradex Easy Installer by default (for instance, it boots to Linux or WinCE instead), you will need to load it in memory either from a host computer, using USB OTG in recovery mode, or from an SD card or USB stick, using the distro boot mechanism. This section devises both approaches. You need a regular USB to micro USB cable and a carrier board that provides access to the USB OTG interface. There is no need to prepare the SD card or USB stick, you just need to run a loading script from your PC. It works with the computer on module in any software state, including a module with a corrupted bootloader or root filesystem. You just need access to the hardware. Access to the bootloader or operating system is not strictly required, though it may simplify putting the module in recovery-mode. You don't need to put the module in recovery mode. You need a version of the U-Boot bootloader pre-installed on the board that supports Distro Boot. You must have access to either Linux or the U-Boot terminal from the board. 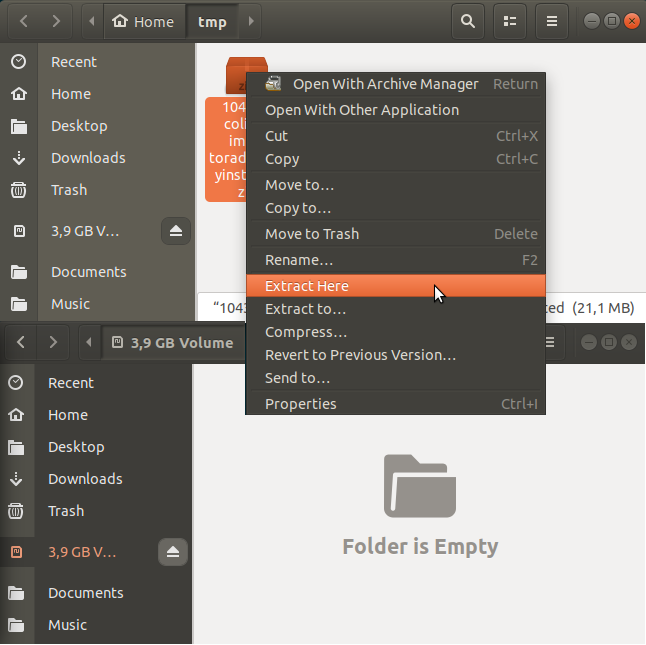 Unzip the Zip file in a local directory on a Windows or Linux host. Connect to X9 on the underside of the Carrier Board. Be sure to remove JP2 in order to be able to use X9 in OTG Client mode. Shorten the pads on the picture (e.g with tweezers) or if you have the Apalis iMX6 Mezzanine on the Apalis Evaluation Board, press the Recovery Mode button. Power on the board while keep pads shorten for additional 1-2 seconds. Connect the serial port UART1 of the carrier board with your host computer. Open a terminal on your host computer (115200 baud, 8 data bits, no parity, one stop, no hardware/software flow control). Note: Currently only Linux hosts are supported for the recovery process. Connect X9 on the underside of the Carrier Board. Be sure to remove JP2 to be able to use X9 in OTG Client mode. Shorten the pads on the picture (e.g with tweezers). Connect the serial port UART_A of the carrier board with your host computer. Depending on JP17/19 (and JP20/JP21 if you use a Carrier Board with V3.2 and later) connect the serial debug console to the bottom X25 using a null modem RS-232 cable or X27 using a regular USB cable. Connect the serial debug console to X13 using a null modem RS-232 cable and a 10 pin IDC to 9 pin D-sub male connector (DTK or Intel standard). Note: Colibri iMX6ULL 512MB Wi-Fi/Bluetooth modules are only supported by Toradex Easy Installer 1.3 and newer. Press and hold the Recovery Mode button. Power on the board while keep pressing the Recovery Mode button for additional 1-2 seconds. Note: Colibri iMX7 Solo/Dual 256/512MB V1.1A and older are not supported by Toradex Easy Installer. Note: Colibri iMX7 Dual 1GB V1.1A and newer are using an eMMC flash and are supported by Toradex Easy Installer 1.2, 1.3 and 1.6 or newer. Toradex Easy Installer 1.4 and 1.5 did not work reliably with these modules. If downloading gets stuck or fails with an error, try starting over from step 2. We have seen an issue with some USB 3.0 controllers during enumeration: If you use a USB 3.0 capable device, try connecting a USB 2.0 hub between the USB OTG port and your host. Note: This does not write the Toradex Easy Installer to flash, it only loads it into the module's memory. You will have to redo these steps if you power off your module. Note: During the recovery process the module connected via USB re-enumerates three times. This might cause multiple device detections on Windows. It also does not work well through virtualization since the individual re-enumerated USB devices get not routed through to the virtual machine guest automatically. 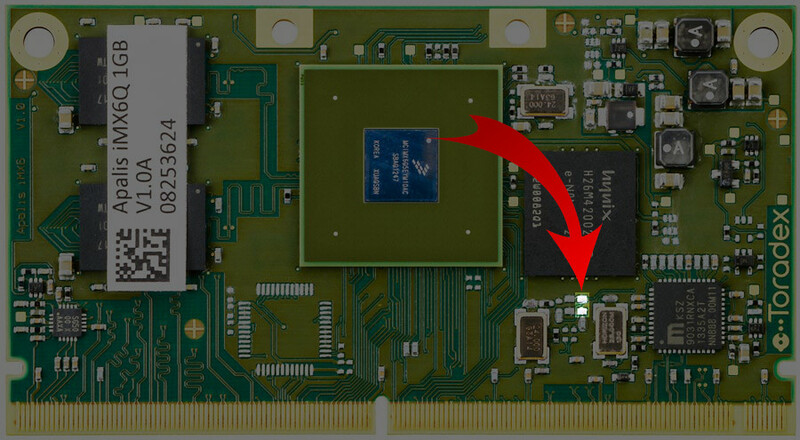 You must copy the contents of the unzipped Toradex Easy Installer into a FAT or ext2/3/4 formatted SD card or USB Stick and boot the board using distro boot. The following sections illustrate the whole process. 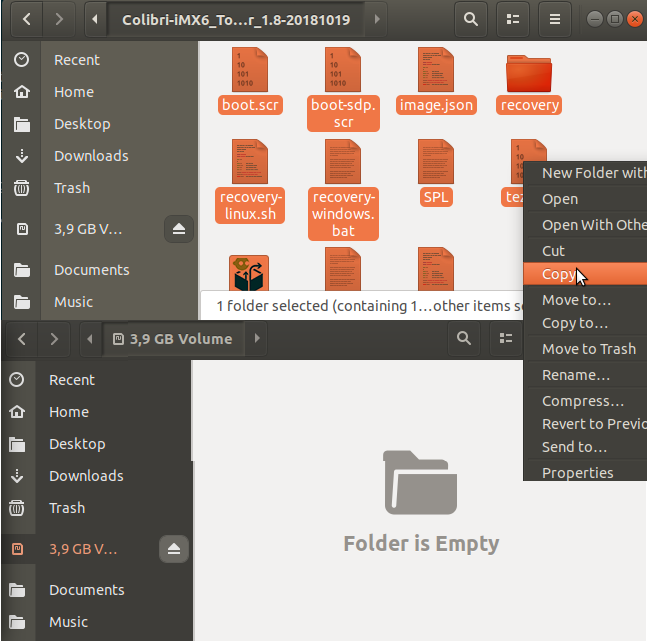 Below is provided a graphical example from a host PC with Ubuntu and Toradex Easy Installer for Colibri iMX6. Note: The procedure of unzipping is analogous for other Toradex modules and other operating systems. You may need to install utilities to unzip the Toradex Easy Installer and to format the media (SD card or USB stick) with a FAT or ext2/3/4 file system. Note: it suffices to copy the tezi.itb and boot.scr files. See the Preparing the Media section from the distro boot article for details. 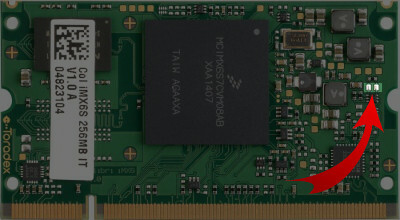 Insert the media in the carrier board, either in the SD Card slot or an USB connector. Or - alternatively to executing run distro_bootcmd from the U-Boot terminal - from the Linux terminal you can use the U-Boot fw-utils to set the U-Boot bootcmd variable to boot using the distro boot mechanism as the default method. Warning: if this command is not properly executed, you may prevent the board from booting and thus you will need to fix the bootcmd variable from the U-Boot command line. Note: the bootcmd variable value is different for eMMC and raw NAND devices, and may change in later BSP releases. Do not blindly copy/paste the command below but rather use the output of fw_printenv bootcmd on your board. root@colibri-imx6:~# fw_setenv bootcmd "run distro_bootcmd; run emmcboot; echo; echo emmcboot failed; usb start; setenv stdout serial,vga; setenv stdin serial,usbkbd"
For more details, see the Booting section from the distro boot article. The Toradex Easy Installer application runs completely in memory, hence the complete internal flash can be erased, (re)partitioned, formatted or written. The image to be flashed can be obtained over the Internet (via Ethernet), from a USB Flash Drive or an SD card. Toradex provides ready-made images which can be downloaded directly using Toradex Easy Installer's Internet capabilities or as zip/tar files which can be extracted to a USB Flash Drive/SD Card. The Toradex Easy Installer runs a DHCP client on the Ethernet port. As soon as the image gets an IP address assigned, the module will try to download a list of images from the Toradex image server (using HTTP). In case this fails (e.g. due to missing DNS server or standard Gateway) an error will be shown. Make sure that your DHCP provides a complete Network configuration which allows Internet access. To force a new DHCP request you can unplug and replug the Ethernet cable. The Toradex Easy Installer continuously monitors external devices. As soon as the Kernel detects a new device, the installer will try to mount all partitions and scan for images. The images will be detected by the description JSON file named image.json (see Image Format below). After scanning all directories the media will get unmounted so that users can safely unplugging the device after scanning. If the user unplugs the device, the images will disappear from the list of available images. Since only metadata are read at this time, it is required to keep the media plugged in in case an image from that media shall be installed. Supported file systems are ext2/3/4, FAT and NTFS. SD Card: SD cards plugged in any standard SD card port are supported. The Links to download Toradex Easy installer images are available in the Getting Started section (chapter Install Images). By default, the Toradex Easy Installer displays on VGA, parallel RGB and HDMI/DVI-D (mirror mode) with a resolution of 640x480 (VGA display timings). Additionally, the UI can be accessed via VNC, either over Ethernet (IP address depends on your DHCP server) or via USB Device virtual Ethernet Link (RNDIS) on IP 192.168.11.1. The graphical user interface can be controlled by any USB keyboard/mouse or via VNC. If an unattended installation is required an auto install mode is available too (see chapter Auto Installation). After selecting the image you wish to install the "Install" button starts the installation. If the image is obtained through a network, some metadata will get downloaded first (such as Release Notes, License text, prepare and wrap-up scripts). After accepting License and Release Notes, the block devices will be prepared (partitioned/formatted) as specified and the data to be written will be downloaded and unpacked in one step. Since this step is done in one step (multiple commands connected through pipes) the image size can exceed the modules main memory capacity. Note: In case any step during Installation fails, an error message will be shown and the option to go back to the main menu will be shown. At this point, it is likely that the Toradex Easy Installer is no longer stored on the internal flash (e.g. due to repartitioning). Hence it is recommended to retry flashing the same image or install the Toradex Easy Installer so another retry can be made later. At this point, all data are stored on internal flash and caches are flushed (synced). It is not required to click on any of this three buttons, it is perfectly fine to just reset or turn off the system. This button will reload the image list obtained over the network. This button allows you to enable or add more sources for Toradex Easy Installer images. On the standard image, it’s possible to enable Toradex' testing repositories. You can also add your own feed with your custom images. 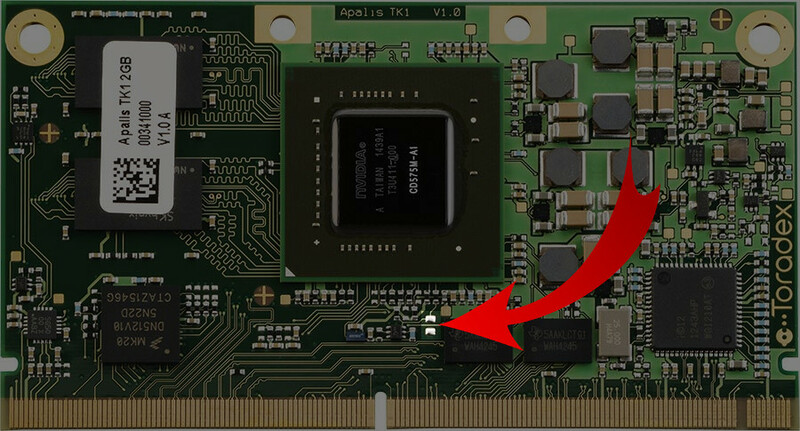 This button allows exporting the internal flash as USB mass storage (eMMC based devices only). One can use this after flashing an image to transfer additional files manually or examine the data written to internal flash. Currently, this exports three disks: The eMMC main user partition (read/write) and the two eMMC boot partitions (read-only). Note: This is only available if RNDIS has been disabled. RNDIS provides a USB Device virtual Ethernet Link (RNDIS). The USB RNDIS mode is enabled by default which allows users without a display to still use the Toradex Easy Installer. The module will run a DHCP server on the link so that the host computer connected to the module will receive an IP address automatically. The module has the IP on 192.168.11.1 assigned statically. Depending on your Windows version it might be necessary to manually install the driver. Via Device Manager, right-click and select "Update Driver...", choose the "Microsoft Corporation" "Remote NDIS Compatible Device" driver. Erase flash erases all modules internal flash. The Toradex config block is automatically recreated after the operation. For eMMC devices it uses blkdiscard and the eMMC controller is notified to discard data of all blocks, hence the complete device will appear as empty (all zeros). For raw NAND devices, the whole flash is erased, including wear leveling information. Shows the License information for the Qt-based UI. Note that external utilities are part of the Toradex Easy Installer which are licensed under a different Licenses. Refer to the files stored under /usr/share/common-licenses/ and /usr/share/common-licenses/license.manifest for an overview. To automatically install an image, the image can be marked as "auto install" image using the autoinstall property in the image.json file. If that property is set to true the image will be flashed to the module automatically and unattended. This can be useful for production programming. Any image can carry the autoinstall property. If multiple images have the property set to true the outcome will depend on the order of how images get processed. There is no guaranteed order, so it is recommended to only use one local media with only one image having the autoinstall property set to true. Note: The Toradex Easy Installer does not automatically install a Toradex Easy Installer, if the version is older or equal. Note: Note that if you want to write into the medium and plan to auto-reboot the system afterward by means of a reboot -f command, you should first unmount it to avoid data corruption. This is however problematic, since the wrapup script is in the mounted partition already. Make sure you sync your data before reboot. If an image is not compatible with the current running Toradex Easy Installer (the config_format is higher than the supported format), then the image won't be considered for automatic installation. One can provide a new version of the Toradex Easy Installer alongside with the autoinstall property set to true too. If the currently running Toradex Easy Installers version is older than the provided installer (determined using the version and isinstaller property`), then the new Toradex Easy Installer will be installed first. This behavior allows to automatically upgrade the Toradex Easy Installer before installing the final image. It is useful if a newer installer is required to install the image. This screenshot shows this situation: The grayed out image requires a newer Toradex Easy Installer. Happily, there is a 1.5 version available. Both images can safely carry the autoinstall property since the Toradex Easy Installer only updates itself if the version is newer then the current version. The main part of Linux images (the boots/rootfs files) is compressed using the LZMA2 algorithm (xz files). The format offers relatively high decompression speed and high compression ratio. However, if the image is read from a high bandwidth source the flashing process is limited by the decompression speed (CPU). The decompression utility xz does not offer multi-threaded decompression, hence it is limited to a single CPU. On a Cortex A7@1GHz (Colibri iMX7) the average decompression speed has been measured to be around 8.4MB/s. Using xz is a good compromise if the image is downloaded over the Internet or otherwise relatively slow connection. Local media such as SD cards or USB flash drive offer much higher bandwidth. It is often faster to store the image uncompressed as a tar file in those cases. Measurements have shown up to 3 times faster flash times (e.g. 7s instead of 21s to extract/write a 130MB root file system). Currently, the OpenEmbedded image class does not offer to create uncompressed images. To convert a regular image to an uncompressed image, simply decompress the *.rootfs.tar.xz and *.boots.tar.xz files using xz -d and make sure the filename properties in the images descriptor file image.json points to the unpacked *.tar files. Further speed improvements might be obtainable by using pre-built file system images and the raw file writing capabilities of Toradex Easy Installer. This method has not been evaluated by Toradex yet. The Toradex Easy Installer can be used to flash images from an HTTP web server. Using a configuration file as described in the Configuration Format chapter in the Configuration Files tab the Toradex Easy Installer can read the images from a custom/local URL. Note: Without a local media there is currently no way to provide the Installer with a custom URL. There exists a workaround documented further below. Once the Toradex Easy Installer boots it should automatically flash the image provided on your web server. If you need log information, add them to prepare.sh and wrapup.sh. You can, for example, use the nc command for sending log files over Ethernet. The Toradex Easy Installer always tries to load an image_list.json from the hard-coded URL http://tezi.toradex.com/image_list.json. Using a custom DNS server one can redirect tezi.toradex.com to a local production PC. Note: Make sure you set your host IP to 192.168.10.1 or to the IP you configured under address in dnsmasq.conf. Verify that no other DHCP or DNS server is running on your system or local network. Once the Toradex Easy Installer boots it should connect using HTTP to the IP specified to download the image list and consequently install the image from the local web server. The Toradex Easy Installer makes use of JSON files. If required, the files can be edited using a plain text editor. However, care must be taken not to violate the JSON specification. To make sure the JSON file is still well formatted an online JSON validator can be useful (e.g. jsonlint.com). The image is described in a JSON image file. Toradex provides images with a proper JSON image file. However, depending on the use case you might need to alter the JSON image file e.g. to add an additional partition. The easiest way is to take an existing image.json file and alter it accordingly. This chapter lists the available properties and how they get interpreted by the Toradex Easy Installer. The JSON consists of a single root dictionary with several mandatory properties (*=Mandatory). An image can define its configuration format. Newer configurations support more features but require a newer Toradex Easy Installer version. autoinstall Boolean Automatically install image upon image detection (defaults to false). For more information refer to the Auto Installation section. u_boot_env (>=1.4) String U-Boot environment file to write. Use a regular text file with one variable/value pair per line with an equal sign after the variable name (variable=value). If there is already a valid U-Boot environment on flash, new variables will be added, existing variables overwritten, empty variables deleted and other variables stay untouched. Use configuration format 2 or newer to enforce U-Boot environment file writing support. $1 - PRODUCT_ID = 4-digit product ID, which is the first 4-digits of the 8-digit product number found in our web shop. $2 - BOARD_REV = Board revision, in user readable format (e.g. V1.2A). This is derived from the last 4-digits of the 8-digit product number found in our web shop. $3 - SERIAL = 8-digit serial number as a string with leading zeros if necessary. $4 - IMAGE_FOLDER = folder where all the files are located. This is relevant only for installations from a local storage. Returning an exit code other than 0 will abort the installation, show an error message with all text the script printed to standard output/error. wrapup_script String File name of Linux shell script which will get executed after the image has been successfully installed. $2 - BOARD_REV = Board revision, the last 4-digits of the 8-digit product number found in our web shop. $4 - IMAGE_FOLDER = folder where all the files are located. This is relevant only for installations from a local storage. Note that local storage will be mounted read-only by default. Returning an exit code other than 0 will show an error message with all text the script printed to standard output/error. error_script String File name of Linux shell script which will get executed if the installation process fails at any time. When this property is set and the installation process fails, the error popup window will show additional information indicating whether the script was successfully executed or, else, displaying the error output for debugging. The error script is executed in the folder where it is located inside the media partition. license String File name of a HTML file containing the image license agreement. When specified, the image installation will only continue after the customer agreed to the license agreement. supported_product_ids* List of Strings List of supported Product IDs. This is the first 4-digits of the 8-digit product number found in our web shop. The product ID will be obtained from the Toradex Config Block. If an image is found which does not support the current module type it will be displayed in gray. isinstaller Boolean This is a special property which marks the image as being the Toradex Easy Installer itself. Each blockdev entry has a name and either a partitions or content node or both. In case using partition table and (raw) content, the Toradex Easy Installer will first create the partition table and then write the content according to the specification. Make sure that partition table created and data written do not conflict! erase (>=1.1) Boolean Discards all data on block device before writing (preserves Toradex Config Block on boot partition). table_type (>=1.4) String Partition table type (dos (default) or gpt). Use configuration format 2 or newer. partition_type String Hexadecimal value used for partition type (if not specified, this will be automatically determined by the content's filesystem_type property. Don't use leading "0x" or similar notation, just two characters. 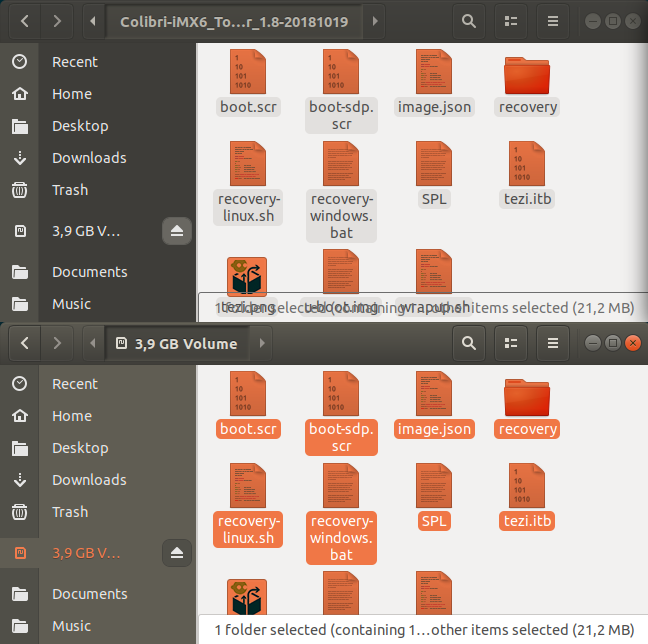 Defaults to "00" (empty partition). Each blockdev entry has a name and either a content, ubivolumes or winceimage node. name* String Name of the MTD device as shown in '/proc/mtd'. erase (>=1.1) Boolean Erase MTD partition using flash_erase (this also clears erase counters of a UBI partition). ubivolumes(*) List of UBI volumes List of UBI volumes to create in this MTD partition. winceimage(*) Dictionary of WinCE image WinCE image to write into this MTD partition. type String UBI volume type: static or dynamic (default). size_kib Integer UBI volume size in kilobytes. If not specified, maximum available size will be used. The WinCE image section allows writing a WinCE image in the sparse file format to raw NAND (uses the utility flash-wince). image_filename* String File name of the WinCE image to write. nonfs_size Integer Non-FS size in megabyte (maximum size of the WinCE image). size Integer The size of the image in megabytes (used for the progress bar). For block devices, content can either be raw data (dd-style) or a file system. For MTD device, content can only be raw data (uses Linux nandwrite command). For UBI volume, content can either be raw data (uses Linux ubiupdatevol command) or ubifs. filename String Only if filesystem_type is a file system: File name of file which gets written into the new file system. If the file ending indicates a zip/tar.gz/tar.xz/tar.bz2 it will get automatically extracted into the file system. filename String File name of the file which gets copied blockwise to the target device. If the file ending indicates zip/gz/xz/bz2/lzo it will get uncompressed before being written. This is a typical example derived from a standard Linux image.json file: It creates the usual two partition layout, a FAT partition for the Kernel/Device Trees and an ext3 partition for the root file system. An additional third partition has been added to create a location for user data. The filename or filelist property can be used to pre-install user/application data. Images loaded from an HTTP server need an index file which points to the individual images. The file name is typically image_list.json, but it can be anything. A local HTTP server needs such an image list file to point to the individual images. images* List of Strings List of images. This can be absolute or relative URLs. The Toradex Easy Installer configuration file allows adding additional HTTP image sources. The configuration file needs to be named tezi_config.json and located on the root of any partition on a supported external storage media (SD card or USB flash drive). This allows extending the search locations for image lists beyond the pre-configured Toradex servers, e.g. to distribute images in a local network or over RNDIS. image_lists* List of Strings List of image list sources. The absolute URL need to point to an Image List file (see above). show_default_feed Boolean If set to true the default image feed is fetched and the available images listed in the UI, else the feed is ignored. show_3rdparty_feed Boolean If set to true the 3rd party image feed is fetched and the available images listed in the UI, else the feed is ignored. Sometimes special boot parameters need to be passed to Toradex Easy Installer. On all modules, the Toradex Easy Installer tries to boot from SD card first using U-Boots "distroboot" scripts. 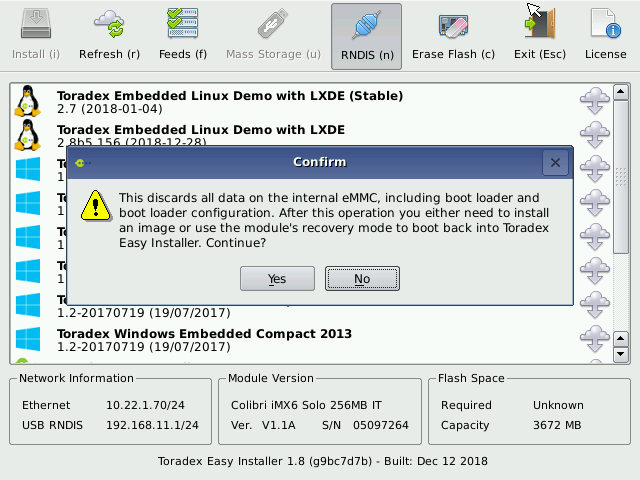 As a secondary boot device, Toradex Easy Installer will boot from on-module flash, either via custom scripts (for raw NAND based devices) or using "distroboot" script on the first internal partition (for modules using eMMC). Distro Boot is a default boot script in U-Boot which searches for a script file named boot.scr or boot.scr.uimg in the root and in the folder boot of the SD card. If the script is present, it is loaded from the media and executed. The regular Toradex Easy Installer zip file contains a valid boot.scr, hence it can be unpacked and moved to the root of an SD card. For more details about distroboot refer to the documentation in doc/README.distro of the U-Boot source tree. To change kernel boot parameter one should use the regular boot.scr file as a template. Custom Script For Capacitive Multi-touch 7"
This is an example of a boot script which uses fdt commands to dynamically customize the device tree. In this particular example the already existing but disabled node atmel_mxt_ts is enabled by setting the status property to true. Since Toradex Easy Installer makes use of a FIT image, which contains kernel, device tree and the rootfs (squashfs), bootm start need to be used to split the booting using FIT image into two parts so that the device tree can be altered in between. 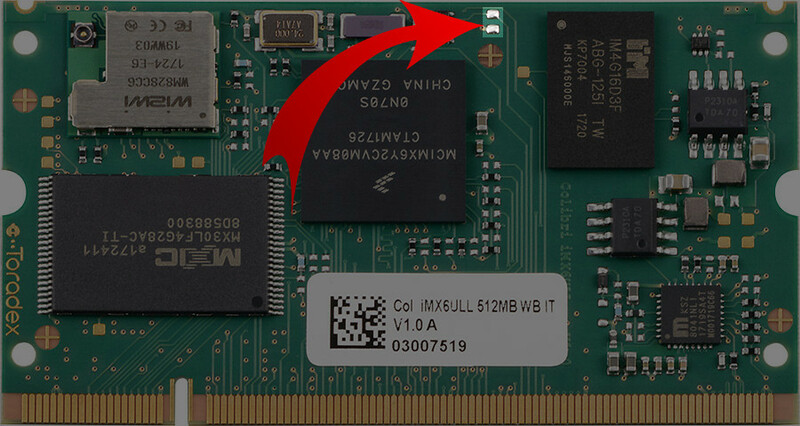 This script placed into the root of an SD card, alongside the Toradex Easy Installer for Colibri iMX6 binaries, will make sure that the Toradex Easy Installer is properly displayed and touch-enabled when using the Capacitive Multi-touch 7" display. Some possible issues and workarounds are described in this section. If you are using the Ixora Carrier Board, make sure that X9 is configured in OTG mode (remove JP2). If the issue still persists, try a different cable, using a none-USB3 port, or connect a USB hub between your Host and the device. The Toradex Easy Installer boot scripts start with a fixed set of Linux kernel parameters. However, it also appends any variables defined in teziargs. Since the Toradex Easy Installer builds on top of Linux, any Linux arguments can be used such as debug to get the full Kernel debug output. 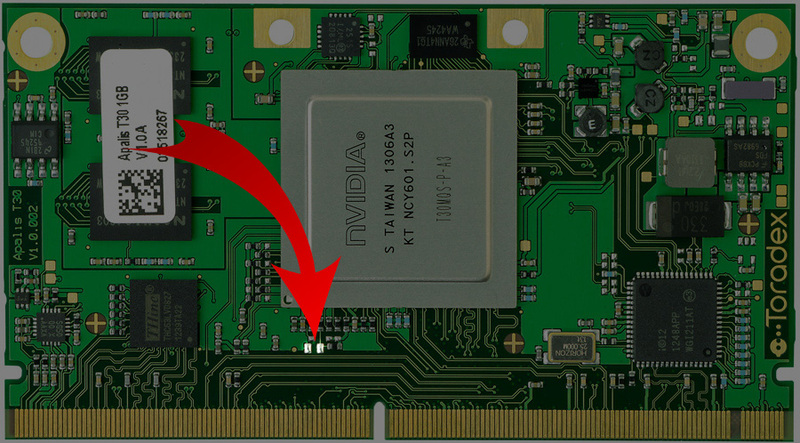 To create an image from an existing installation follow the How to Clone Embedded Linux on eMMC Based Toradex Modules article. 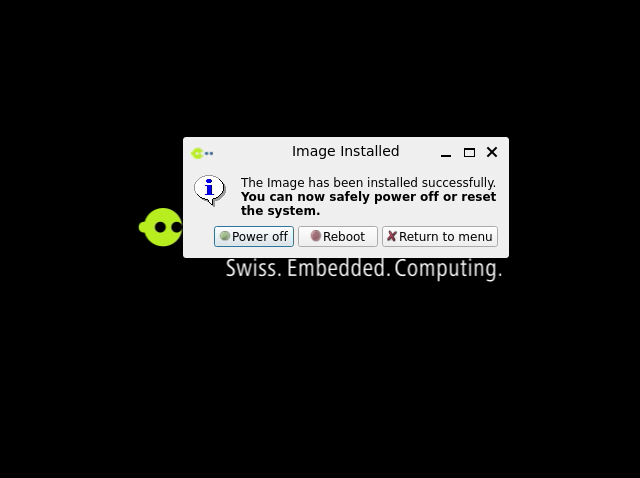 The OpenEmbedded build will automatically generate an image in the Easy Installer Format. Follow the OpenEmbedded (core) article.